Richard J. Shea|! 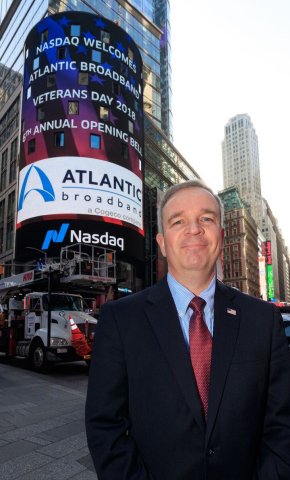 !| president and CEO of Atlantic Broadband|! !| joined executives from more than 50 companies on Nov. 12 at the Nasdaq Marketsite in New York City to honor U.S. veterans by ringing the Nasdaq opening bell. Former U.S. Senator and New Hampshire Attorney General Kelly Ayotte has joined the board of directors for Blink Health, a New Jersey-based app that aims to make prescription drugs affordable. A senior advisor to Blink since 2017, Ayotte will take an even more active role supporting the company’s mission of bringing transparency and affordability to the prescription drug industry as the company seeks to revolutionize the opaque pharmaceutical supply chain, dominated by middlemen known as pharmacy benefit managers (PBMs). Blink’s e-commerce service bypasses the PBMs to provide customers access to affordable prescription drug prices. Walgreens and Southern New Hampshire University (SNHU) today announced a new initiative that aims to provide career and educational opportunities for 5,000 U.S. veterans over the next five years. Through the program, Walgreens will seek to hire veterans into store leadership roles with opportunities to advance, and through a collaboration with SNHU, participating veterans will also have the ability to pursue a bachelor or master’s degree from the University. Shaker International, a Cleveland-based provider of market-leading pre-hire assessment technology, partnered with the University of New Hampshire's Peter T. Paul College of Business and Economics' professor Jennifer Griffith, Ph.D., for a study on veteran job candidates using data evaluated from 35,000 simulation-based assessments. The study showed that veteran job candidates scored about 10 percent higher than their non-veteran counterparts on job simulations used to compare candidates. Cirtronics, a socially responsible contract manufacturer located in Milford, will be a sponsor of the annual New Hampshire Social Venture Innovation Challenge (SVIC), culminating in the finals on November 29th, 2018. Marina Kim, co-founder and executive director of Ashoka U, has been named the 2018 Social Innovator of the Year by the University of New Hampshire’s Center for Social Innovation & Enterprise. An initiative of Ashoka, the world’s largest network of social entrepreneurs, aims to impact the education of millions of students by collaborating to help colleges and universities rewire education to more effectively enable, empower, and catalyze student changemakers. 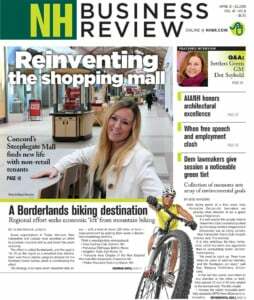 The University of New Hampshire’s Peter T. Paul College of Business and Economics is seeking companies to work with students during the spring 2019 semester as part of the Paul Projects program. Proposals are due Friday, December 7. For more information, click here.